"Can we Save the Constitution?" Gibbs is a Radio Host on KCAA 1050 AM on Saturdays at 2:00 pm with his Constitution Radio program. The radio show is also carried by affiliate stations KCXL (Kansas City, Missouri) and WHTH (Youngstown, Ohio). 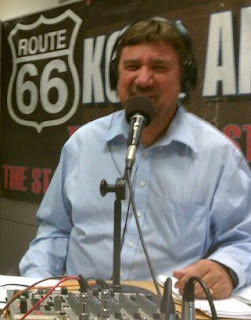 Doug is a longtime Internet radio host, conservative political activist, writer and commentator. Doug is the founder of the award winning Political Pistachio website, and a free lance newspaper columnist for the Murrieta Patch and The Central Idaho Post. He also writes for Canada Free Press, Conservative Crusader, Conservative Alerts, Conservative Network News, Christian Response Alerts, The Examiner, and a number of smaller sites. He has been featured on the American Family Association's OneNewsNow news portal a number of times. Doug is a member of the “American Authors Association”, the “Committee of Concerned Journalists” and “The Military Writers Society of America.” He received the Golden Anchor Award for his patriotic commentary in 2008, and was a candidate for his local Murrieta City Council in 2010. An active member of the Tea Party Movement, Doug mans a Constitution Booth at Tea Party events, is a public speaker on the U.S. Constitution, and teaches various classes on the U.S. Constitution in the Inland Empire of Southern California, and Online at BlogTalkRadio.com/politicalpistachio. Doug is a family man, married 28 years to his high school sweetheart. He is the father of two and has four grandchildren. Doug is a proud United States Navy veteran. Come to the meeting and find out how the decisions being made by the Supreme Court and our Congress will be affecting your lives and the lives of our children and Grandchildren into the future. let's find out if there is anything we can do about the situation. If you have not been to our meetings before, please call 310 994 5522 and get your name on the Leisure World entry list.